Tough Person to Buy For? 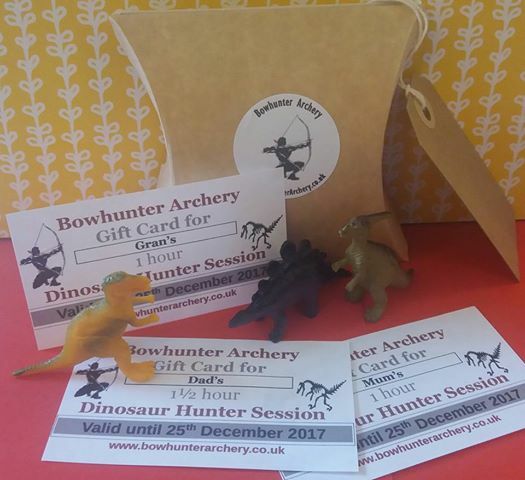 Gift Boxes & Gift Vouchers from Bowhunter Archery! Gift Boxes are an extra special alternative to a Gift Voucher and are themed for your Dinosaur or Zombie Hunter! £19 for the epic 1.5 hours of fun! Normal Gift Vouchers are also available at the exact cost of the session you wish to book, however postage would need to be added if they require posting.